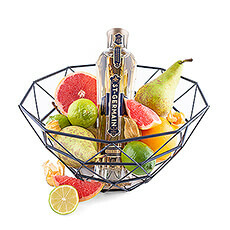 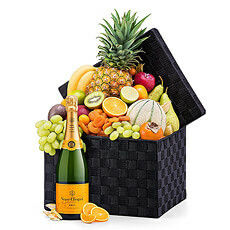 Combine our fruit baskets with champagne and wine. 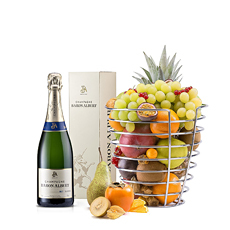 Our luxury fruit gourmet hampers are perfect for any gift occasion, including Christmas and New Year. 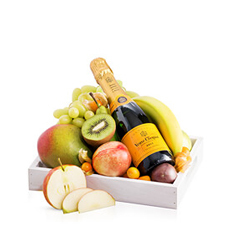 Next day delivery in Monaco from our local warehouses in Europe. 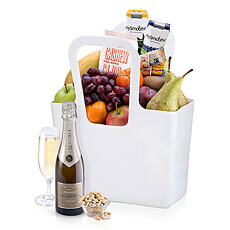 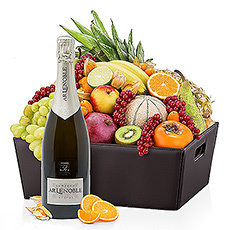 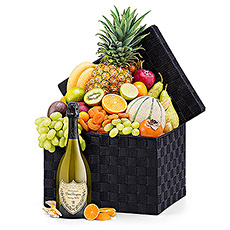 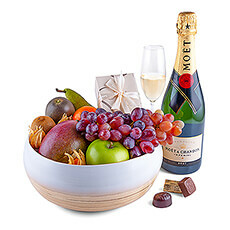 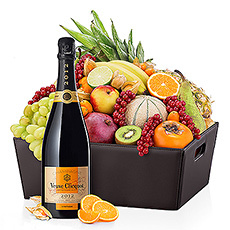 Elegant fruit baskets with Europe's favourite wine and champagne for delivery in Monaco.